Grooming your pets is part of keeping them happy and healthy. Depending on breed, age, coat, and some health conditions, pets should be groomed regularly every four to six weeks. Our grooming staff will be happy to discuss an appropriate schedule that is right for your pet! How much will it cost to groom my pet? Grooming prices vary depending on breed, size, type of grooming, condition of coat, and cooperation in grooming. Our receptionists will be happy to discuss our grooming options and prices with you. What is your cancellation policy for grooming reservations? As a courtesy we request 24 notice for any cancellations. How do I make a grooming appointment for my pet? For reservations at Morris Animal Inn, you should contact us directly. All reservations must be confirmed by telephone or in person. Our pet care consultants will be happy to discuss all of the options we have to offer! What time should I drop off and pick up my pet for grooming? Pets with grooming appointments should arrive anywhere from 8 A.M. to 9:30 A.M. Upon check-in, our receptionists will discuss a scheduled time for pick up. The latest pickup for weekly grooming appointments is 7 PM. 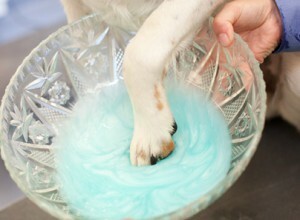 Can I add activities to my pet’s grooming reservation? Of course! Morris Animal Inn offers a Spa Day in which guests are individually handled during the day, half of which is spent in our Daycare program and half in our grooming salon. They receive one playtime session with their own Activities Counselor and a wholesome snack break. Our receptionists will be happy to book your Spa Day reservation.